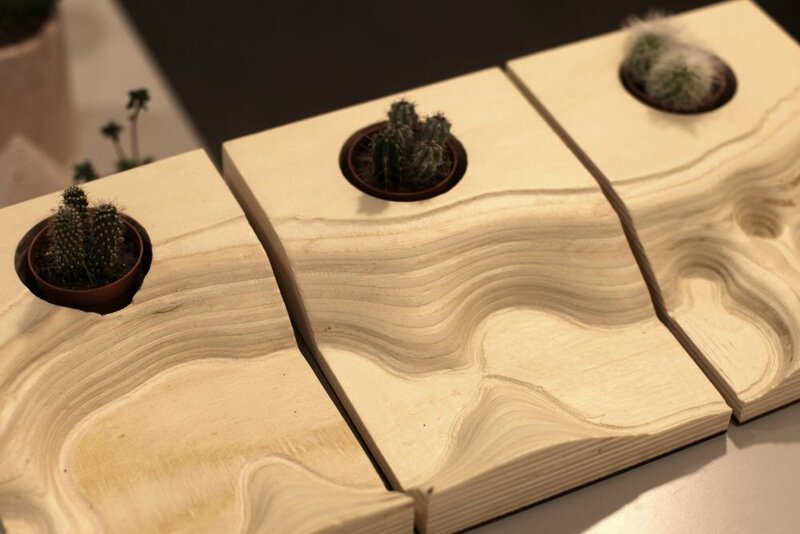 The series, called Tiny Canyon, consists of 10 plywood blocks meant for holding small cacti. Each has one part a continuous valley carved out of its volume. The concept was born out of to the distinct “Californian” feeling present in the whole collection of Fragments. It also refers to the makers’ fascination with geometry and physics; and how geological landscapes can at times be described as the outcome of mathematical laws. The canyon was designed through a custom-made algorithm, itself based on the physics of electrical fields and driven only by a set of randomized inputs. The shape was then materialised by means of a robotic CNC-router. 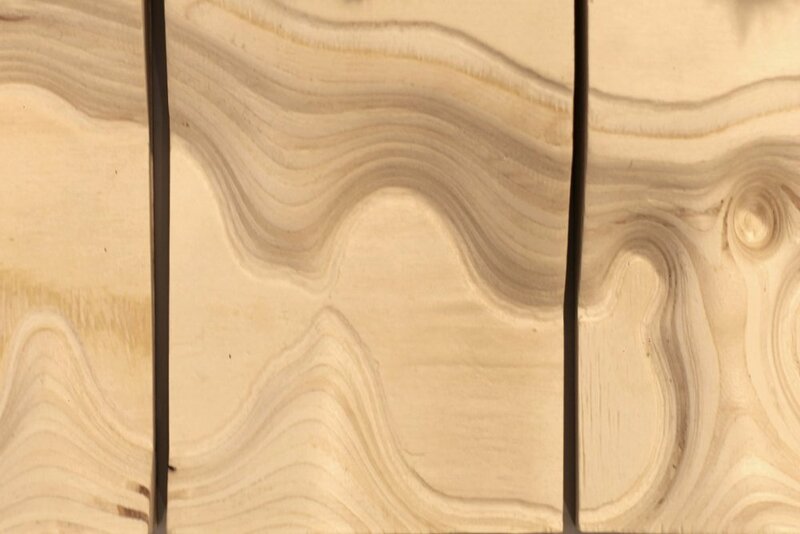 Plywood was chosen as a material, as the layers embedded within the sheets would show on the surface of the canyon as geological fault lines. The final design consists of 4 hand-glued 12mm poplar plywood sheets. The different pieces are all unique, and together form one continuous valley. Every new series of "Tiny Canyon's" can be made unique again by using the algorithm. For the production, the makers relied on a local network of Fablabs. The first prototype was created at and with support of Fablabfactory Aalst. 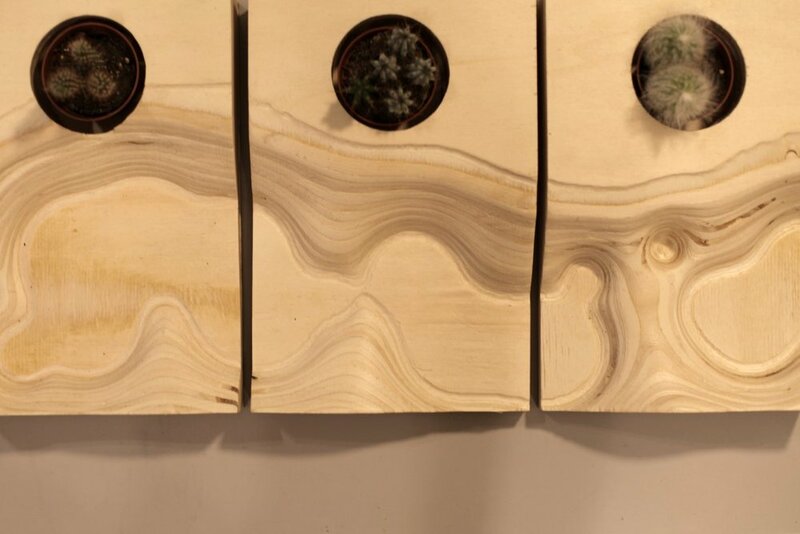 The final series was produced at and with support of Fablab iMal. The series is now on sale at Fragments’ flagship store 79 in Brussels, their webstore, and in the new Kanal – Centre Pompidou museum shop. Pieces can be bought individually or in group.